Welcome to Hotel Navarra: enjoy your stay in Bruges. Welcome to Hotel Navarra in Bruges! 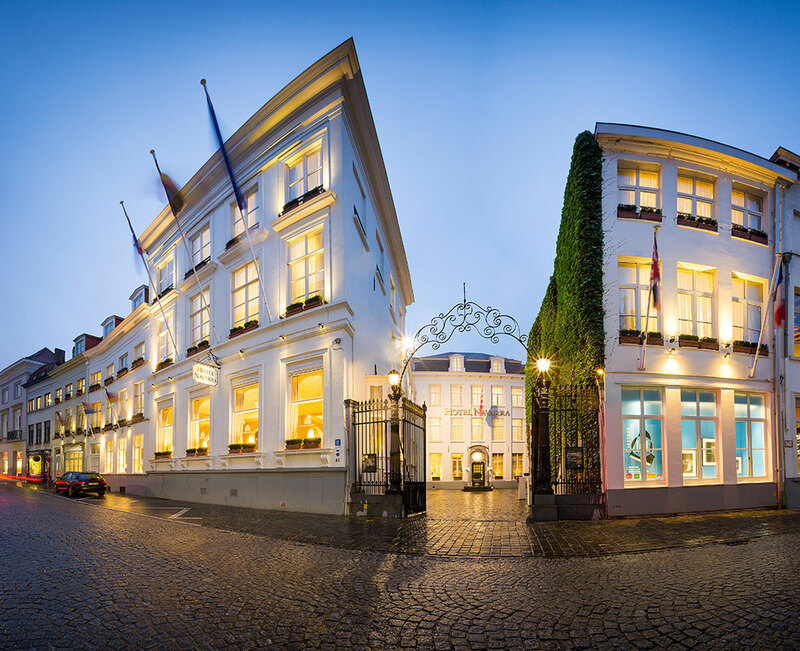 Stay at one of the most beautiful hotels in Bruges. 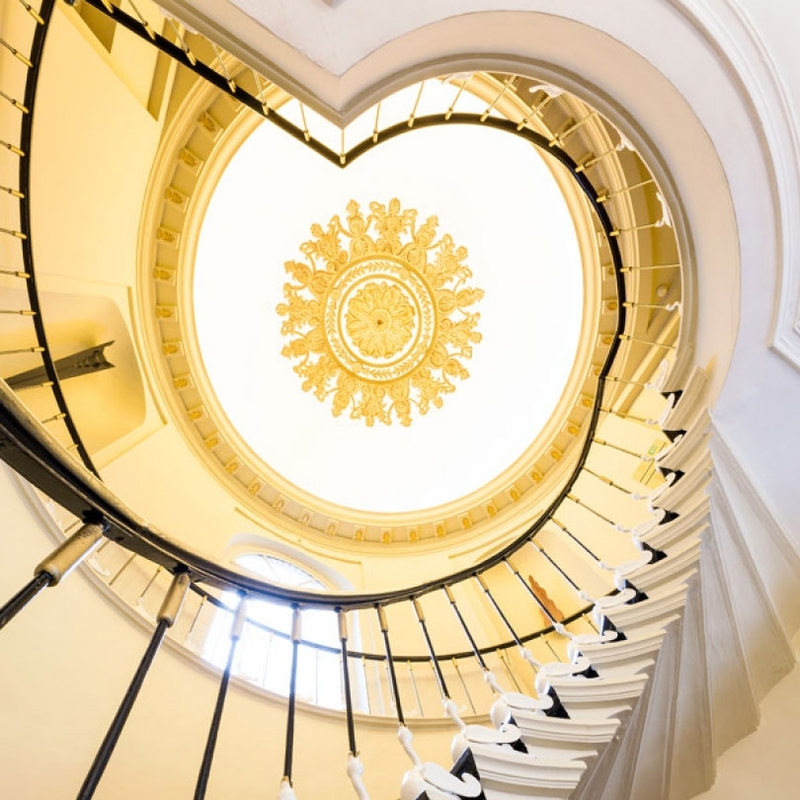 You will undoubtedly love the well-preserved, original charm of our hotel, a listed historic monument. Add our personal, most welcoming service and up-to-date hotel facilities and you’ll realize why Hotel Navarra is the perfect match. Stay at a 4-star family-run hotel and experience a warm, homely atmosphere. Our superb, loyal team offers an outstanding service, always with a smile. Enjoy a great night’s rest in an impeccably clean hotel room. Hotel Navarra offers a wide range of excellent hotel facilities. 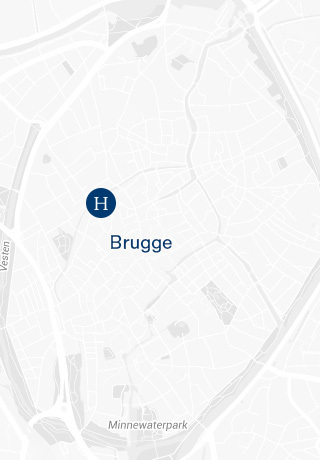 You will love our unique central location in the heart of Bruges, very close to all major attractions, shops and restaurants. We’ll make your stay in Bruges a little more special by sharing our secret spots with you. If you want to find out where the locals go, use our smart insiders’ guide. Looking for the perfect midweek or weekend break in Bruges? Hotel Navarra is one of the very few hotels in Bruges offering a private car park. Don’t miss our delicious full breakfast - the perfect start of a wonderful day in Bruges. Make sure you spend some time in our cosy, relaxing jazz bar ‘The Duke’, offering a wide selection of Belgian beers and cocktails. 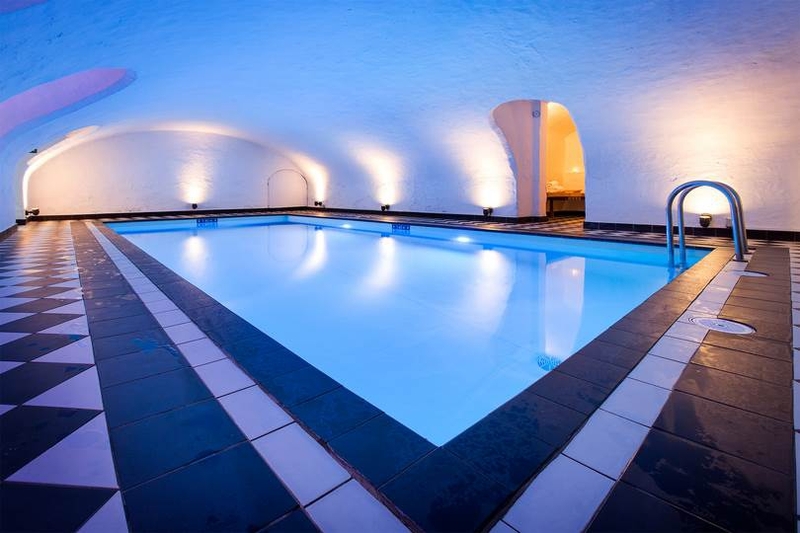 Relax in our wellness, while enjoying our indoor pool, sauna and gym. Or have a drink on our sunny garden terrace. What more could you expect from your stay in Bruges? � Hotel Navarra. All Rights Reserved. | Sitemap | Terms & Conditions | Privacy statement � Hotel Navarra. All Rights Reserved.